Excerpt from “Learning and the Brain,” chapter 4 of Creating Emotionally Safe Schools by Dr. Jane Bluestein © 2001, Health Communications, Inc., Deerfield Beach, FL. This excerpt was extracted from the manuscript for this book and may be slightly different from the actual printed copy. The entire bibliography of Creating Emotionally Safe Schools is available on this site for more details about the references listed above. In a school carried on by sheer cruelty, whether it is presided over by a dunce or not, there is not much likely to be learnt. I believe our boys were, generally, as ignorant a set as any schoolboys in existence; they were much too troubled and knocked about to learn. Under conditions of extreme threat or rage, when the brain is flooded with stress hormones, the “fight or flight” human is not under the governance of the analytical cortex, the seat of rationality and wisdom. At a time when apparently there was such a thing as a stupid question and a leather strap across the hand for the wrong answer, school work suffered as I withdrew from active class participation. It is difficult to pay attention to the teacher if you believe you may be assaulted in the classroom. It is difficult to concentrate if you know that you will be extorted on the way to lunch. Pilot, author, and motivational speaker, Rico Racosky frequently addresses groups of students around the country. He likes to use the analogy of the U.S.S. Enterprise from the Star Trek television series to illustrate how we deal with threats. To protect itself, the starship engages its shields, an energy field that minimizes damage from natural celestial hazards or enemy attack. There is a tradeoff, however: while these deflectors are in place, the ship may indeed be safer, but maintaining shields at 100% means diverting power from other ship functions, rendering certain other systems completely inoperable. Human beings are not much different. When under stress or attack, our brains have certain mechanisms that work to protect us. And like the Enterprise, when our “shields” are up, some of our other systems are down. As Racosky says, “A human being who lives day-to-day having to continuously ‘energize his shields’ for protection has little remaining energy to direct toward positive endeavors, such as schoolwork, meaningful classroom participation or healthy peer-adult interaction.” We know that engaging children emotionally is an important part of the learning process, and that the emotional intensity of an event helps cement the details of that event into memory. However, not all emotional experiences in a classroom are necessarily productive ones. 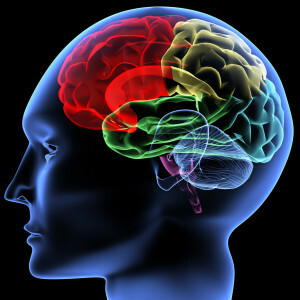 The brain is pretty objective about events, comments, and other stimuli in the environment. It is only our interpretation of this input that engages our emotional reaction. When the brain perceives an experience as positive, pleasantly exciting, and fun, it releases certain chemicals that assist learning and recall. However, when input is experienced as negative or threatening, different chemicals are released, and in terms of learning and retention, these chemicals have the exact opposite effect. And yet, absence of threat does not mean absence of emotional energy. Learning requires arousal, an attentional “state” that involves a sometimes tricky combination of appropriate challenge and low stress. Different tasks require different levels of arousal, and to make things more interesting, what’s challenging and curiosity-provoking to one student can trigger paralyzing fear in another. Gazzaniga distinguishes between constructive and destructive stress, the former characterizing a situation perceived as challenging, and offering the potential for some personally-meaningful benefit. Destructive stress, on the other hand, tends to focus on the potential for loss—whether the loss of dignity, physical safety, power, belonging, identity, respect, opportunity, success, or some other meaningful entity. When we do cross that line, when something provokes an anxiety response in our students, they will experience physical reactions that might include sweating, dry mouth, shallow breathing, headache, pounding pulse, intestinal distress, weakness, incoordination, or “freezing” or “going blank.” In addition, anxiety can provoke behavioral reactions such as panic, irritability, depression, agitation, worry, inattention, forgetfulness, and distractibility, not to mention disruptive and sometimes hurtful outbursts. None of these reactions enhances our students’ understanding of the principles of convection, fractions, or supply-and-demand, and no matter how dazzling our presentation and activities, fear and stress will block our most well-intended instructional objectives. Here’s what’s happening neurologically when cognitive functioning is blocked, and why emotional safety is so important for learning. When students perceive that their safety is in some way at stake, a survival mechanism called “downshifting” occurs. If you recall, the brain’s main job is sifting through and prioritizing incoming stimuli in the interest of our survival. Anything that suggests the possibility of danger, whether real or imagined, becomes a higher priority than anything else that is going on at that moment. This data is processed first, shifting our attention from cognitive processes down to the faster-acting limbic system, while more complex cerebral operations shut down. Stress shuts down the system. The culprit is a chemical called cortisol, a hormone released by the adrenal glands to protect us from danger. At one end of the value continuum, cortisol puts the mind and body on alert for danger and, at low levels, it can even produce euphoria. However, Gazzaniga reminds that “stress starts to take its toll when cortisol levels shoot up constantly and remain high.” For at the other end of the continuum is what we see in the research on abused and neglected children in which cognitive and developmental delays correlated with a harmful imbalance of cortisol in the brain. There is evidence to suggest that excess cortisol leads to hippocampal damage, “causing memory lapses, anxiety and an inability to control emotional outbursts,” as well as difficulty regulating attention in a classroom setting. Long-term or chronically high levels of cortisol have a negative impact on blood pressure, protein metabolism and the immune system, however even short-term elevation of cortisol in the brain can have a serious and negative effect. “Once emotions occur, they become powerful motivators of future behaviors,” says LeDoux. And feelings from an unpleasant event can reverberate long after the event itself. Bower explains: “A strong affective reaction after an event also causes the reactivation, rehearsal or ‘mulling over’ in working memory of the encoded version of that event.” This pattern cements the emotional experience into memory and seems to be “especially prominent with negative, aversive events.” When the mind “dwells on feelings of anger, embarrassment, and fear,” even a great lesson is not likely to get through. To make matters worse, the inability to focus on and process content is likely to trigger or “intensify any learning problems that may be present.” Clearly, a stressful school environment interferes with its instructional objectives. Part of the problem is the sheer number of factors that can impact the emotional climate of a school. The list at the end of the chapter includes a wide variety of experiences students can encounter in a school environment, any one of which can interfere with their focus, commitment, and memory. Understandably, students who experience a large number of these events, or who experience one or more with great frequency, are most at risk. Stress and anxiety have behavioral, as well as instructional ramifications. When children’s ability to process information is compromised, it becomes difficult for them to attend to important environmental cues, encode and transform data and select an appropriate responses. Students under stress are less able to “hear” what is being said to them or asked of them, and are likely to misunderstand or distort what they do receive. The resulting downshifted, or survival behaviors can result in additional anger, punishment, failure, or alienation, a cycle of reactions that compounds the problem. (Negative reactions can come from adults or other students, depending upon the context in which the negative events—and survival responses—take place.) School becomes an increasingly difficult and unpleasant place to be. For many students, it’s just easier to shut down and drop out. When we look at the potential for these avoidance behaviors alone, not to mention more serious or destructive responses, the need to minimize stress and threat in the classroom becomes rather imperative. Charles Dickens, David Copperfield, George H. Ford, ed. Original publication date, 1849-1850. (N.Y.: Houghton Mifflin Co., 1958), 79. Chester L. Quarles, Staying Safe at School (Thousand Oaks, CA: Corwin Press, Inc., 1993), 24. Michael Okuda, Denise Okuda and Debbie Mirek, The Star Trek Encyclopedia: A Reference Guide to the Future (New York: Pocket Books, 1994), 224. Beamish, personal interview. Also Hannaford, Smart Moves, p. 54. Bobbie Faulkner and Patricia Faiveley, “Multi-Age from the Ground Up,” in Multi-Age Classrooms, Karen Gutloff, ed. (Washington, DC: NEA Teacher-to-Teacher Books, National Education Association, 1995), 85. William W. Purkey and David N. Aspy, “The Mental Health of Students: Nobody Minds? Nobody Cares?” Reprint from Person-Centered Review, Vol. 3, No. 1 (Feb. 1988): 46. O. Tanner, quoted in Edward W. Schultz and Charles M. Heuchert, Child Stress and the School Experience (New York: Human Sciences Press, Inc., 1983), 29. S.B. Cotler and J.J. Guerra, from Assertion Training (Champaign, Ill: Research Press, 1978), quoted in Schultz and Heuchert, 30; also Robert Schacter and Carol Spearin McCauley, When Your Child is Afraid (New York: Simon & Schuster, 1988), 24. Beamish, “Knowledge About the Brain,” 24-25; Hannaford, The Physiological Basis of Learning and Kinesiology; Jensen, Introduction to Brain-Compatible Learning, 37; and Sousa, 13. Note: The term “downshifting” was coined by researcher Leslie Hart. Shannon Brownlee, “The Biology of Soul Murder,” U.S. News & World Report, 11 Nov 1996. Available: PTAVE Web site, [Internet, WWW], Address: http://nospank.org/11trau.htm. Note: This article cited the work of Megan Gunnar, a University of Minnesota developmental psychobiologist who studied children in Romanian orphanages. Clare Cherry, Douglas Godwin, and Jesse Staples, Is the Left Brain Always Right? (Torrance, CA: Fearon Teacher Aids, 1989), 132. From B. Philips, School, Stress and Anxiety (NY: Human Sciences Press, 1978), 146, as quoted in Schultz and Heuchert, 31. Sale books: Click here for links to dozens of new and used books on a wide range of topics and at discounted prices.